A call to revive the Russian (Baku) Emanuel Nobel Prize for innovation in the oil industry was one of the memorable moments at an international conference on the Nobel brothers, held in September in the Swedish capital, Stockholm. While the name Nobel is best known worldwide for the international prizes established by Alfred Nobel, inventor of dynamite, Alfred’s brothers Robert and Ludvig are known in Baku for their key role in the city’s first oil boom at the turn of the 19th and 20th centuries. Together with Alfred, they established the Nobel Brothers’ Petroleum Production Company, Ltd., (abbreviated to Branobel – the company's telegram address) in Baku, which by 1916 was the largest oil company in imperial Russia. As enthusiastic inventors and innovators, the Nobels were ideally suited to the new and rapidly developing oil industry. 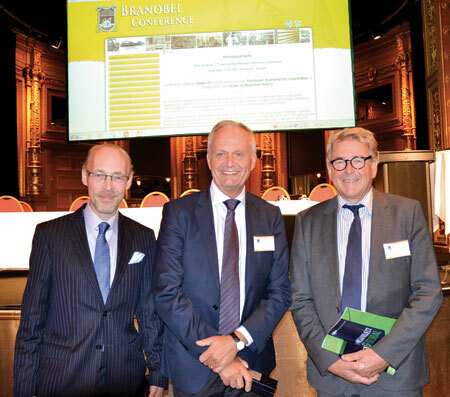 The Nobel Brothers 2nd International Research-Innovative Conference, to give the Stockholm event its official title, focused on the Nobels’ role in innovation both technical and industrial and in terms of management and conditions for their workers. The Russian (Baku) Emanuel Nobel Prize was instituted in Baku in 1904 and named in honour of Emanuel, who led the Branobel company at that time. Yusif Jabbarov, deputy chairman of the Baku-based company Nobel Oil, announced to the conference that his firm would be ready to support a revival of the prize. Thomas Tyden, chairman of the Nobel Family Society, told Swedish business newspaper SvD Naringsliv that if the prize were to be revived, it should be in keeping with its original purpose. He was concerned that there should be no confusion with the existing Nobel prizes, established by Alfred. A major aim of the conference was to encourage research into the Nobel archives from Russia and the Caucasus, Thomas Tyden said in his welcoming address. Under cooperation agreements between the Centre for Business History in Stockholm, the Azerbaijan National Archives and the Azerbaijan Scandinavian Cooperation Organisation, work is under way to digitise archive material on the Branobel company. The Centre for Business History has already established the website branobelhistory.com, which contains a wealth of material on the company and some fascinating photographs. Research in the digitised archives is at an early stage, so they present a potential treasure trove for study. Looking at how to develop an innovative culture, Thomas Tyden observed that the presence of a variety of cultures and values enabled innovation. This was certainly the case in the Branobel company in Baku, where people from across the Russian Empire, Iran, Turkey, central Europe and, of course, Scandinavia worked. One area of innovation considered by Dr Khalik Mammadov and Dr Parvin Ahanchi was in the Nobel brothers’ management and motivation of workers. Renowned for their social welfare programmes, Branobel had professional, committed staff at all levels of the company. They provided housing for workers, medical care, long service benefits, medical insurance and pensions and worked to improve health and safety. Their attitude towards workers and managers allowed the company to retain cohesion in a diverse workforce while expanding operations across the Russian Empire into Georgia and Central Asia. Drs Mammadov and Ahanchi looked at how Azerbaijan’s state oil company SOCAR has successfully adopted this approach to personnel management and motivation. Branobel’s good relationship with its employees is probably one of the reasons why the company did not expect to be affected so drastically by the Bolshevik revolution. Russia’s ambassador to Sweden, Igor Neverov, made the intriguing statement in his presentation that Lenin was “against nationalizing the oil industry in Baku”. His New Economic Policy presupposed trade for Russia with foreign partners, including in the west, and Lenin did not want to put them off by nationalising their assets. The decision to nationalise the oil companies was taken by the commissars in Baku, the ambassador said. Here is one topic crying out for further research, something the conference was keen to promote. New research presented at the conference included the Nobels’ role in the industrial development of Georgia. 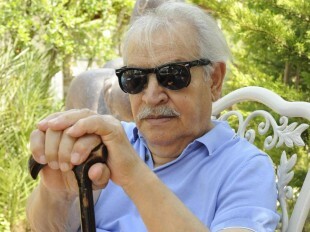 Emil Avdaliani, a PhD student at Tbilisi State University, found documents in the archives in Georgia revealing how the Nobels and rival business family the Rothschilds competed to build the Baku – Batumi railway and kerosene pipeline, at the time the world’s longest oil pipeline. Researcher Temur Tunadze of the Nobel Brothers’ Museum in Batumi told the conference that Robert Nobel had obtained the right to import 500 pounds of Alfred’s dynamite tax-free to the Russian Caucasus for use in blasting tunnels for the new railway. The competition between the Nobels, Rothschilds and Rockefellers for Baku oil was the subject of a paper by Dr Togrul Bagirov, chairman of the Baku Nobel Heritage Fund and one of the conference organisers. Ludvig Nobel and his son Emanuel had visited Pennsylvania to see for themselves the workings of the oil industry in the USA. In the early days of their oil business, the Nobels adopted American innovations, such as the use of pipelines to transport oil, but over time through their own inventions became the model for the US industry to follow. The Rockefellers tried twice to buy Branobel – once when Ludvig was in charge of the company and once when his son Emanuel ran the firm. On both occasions, the Nobels turned the Rockefellers down, Dr Bagirov said. Maybe with an eye on the success of the film There Will Be Blood about the early oil industry in the US, a script has been written for a Hollywood movie about the competition, industrial espionage and the like among the Nobels, Rothschilds and Rockefellers. Curt Weldon, a former senior Republican member of the US House of Representatives, told the conference that millions of dollars in funding are sought to make the film. A different type of project, perhaps, for the innovative investor. 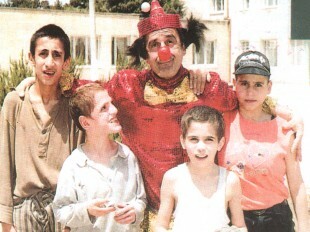 The Nobels’ business interests extended east from Baku as well as west. Bakhyt Sultanov, deputy head of the Kazakh Presidential Administration, told the conference that a Nobel museum is being set up in the town of Atyrau, in the heart of Kazakhstan’s oil industry. A proposal to hold the next Nobel Brothers International Research-Innovative Conference in Kazakhstan was welcomed. Alongside researchers and engineers, the conference speakers included former politicians and Nobel prize winners, who spoke broadly on the subject of innovation, often with an emphasis on sustainable innovation and development. Former Finnish President Tarja Halonen stressed the importance of a sustainable energy mix, which should include oil and gas, in achieving new long-term development goals. Former Korean Prime Minister Han Seung-soo talked of Korea’s green growth policy, while Holland’s ex-prime minister, Ruud Lubbers, recalled his evolution from economist to ecologist when he saw the decline in the quality of life in his home city of Rotterdam. Gustav Nobel, chairman of the Nobel Sustainability Trust, told the conference of the trust’s mission to support sustainability-driven innovation. The Nobel brothers, especially Alfred, always managed to find investors to back their industrial innovations. Today’s investors tend to be more cautious and to hesitate over backing the unknown, Gustav Nobel said. To remedy this and support the development of clean technology and renewable energy, the Nobel Sustainability Trust has established a $200-million fund together with Earth Capital Partners in London for investment in clean technology. Visions plans to return to some of the themes of the conference and to feature more conference papers on the Nobel brothers and their legacy. 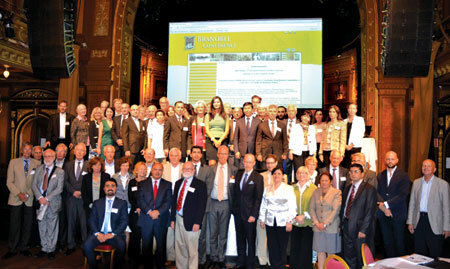 The Nobel Brothers 2nd International Research-Innovative Conference (the first was held in 2012 in Baku) was well organised by the Azerbaijan Scandinavia Cooperation Organisation and the Baku Nobel Heritage Fund. 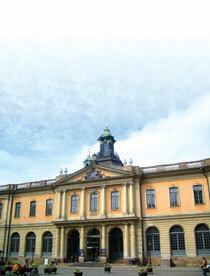 Co-organisers, the Centre for Business History in Stockholm, had to pull out of the conference at the last moment. The event was sponsored by the Nobel Oil company. 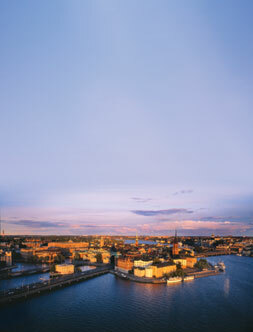 A welcome reception was held at the fascinating Nobel Museum in the heart of old Stockholm. 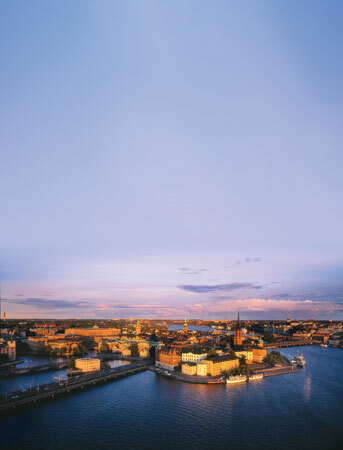 Delegates also had the opportunity to cruise the Stockholm Archipelago and to dine at the waterside Grand Hotel, an event sponsored by SOCAR.